It was my great honor to begin a term as President of HWNCC – Together We Achieve (T.W.A.) Chapter a business-to-business networking organization. 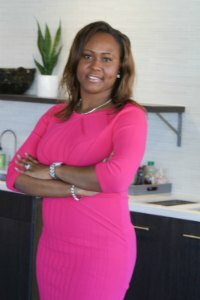 My career includes 10 years of real estate, hospitality management and nonprofit management served within New York, New Jersey, California, Georgia and Anguilla. I took a new venture to form an organization dedicated to support guide and offer resources to entrepreneurs and small businesses in the tri-state area and across the globe. It is a very exciting time to be in a leadership role with HWNCC-TWA Brooklyn NY Chapter. Ideas imagined years ago have gained momentum and there has been growth in every area of the organization business, educational programs, staff and, most importantly, the benefits to members. Over 40 chapters in 3 years in 11 states and 6 countries. In April of 2015, HWNCC set our strategic direction for the near future by defining organizational objectives. We will expand our business networking, explore innovative topics in our programming, and continue to amplify our resources. We look to convene nonprofits, small businesses, entrepreneurs and our members to share knowledge, foster unity and collective action. We will expand our support of the sector by promoting the voice of local businesses and nonprofit organizations on issues important to business issues & community matters. Ensuring the value of our member benefits, enhancing member satisfaction and increasing diversity in our membership base is the underlining goal of our daily operations. Peter Drucker taught me that to achieve results, we have to use all our available strengths, as these strengths are the true opportunities. “The unique purpose of an organization is to make strength productive”, he wrote. HWNCC-TWA Brooklyn NY Chapter has an exceptional bounty of opportunities found in the strength of our board, staff, members our unique purpose of the organization is to build results driven endeavors. I believe that we have the vision of what we are capable of becoming as a membership organization and my goal as President is to keep us loyal to that vision. Thank you for your part in our vision for the business community in Brooklyn NY, and I can’t wait to see what we will achieve together.